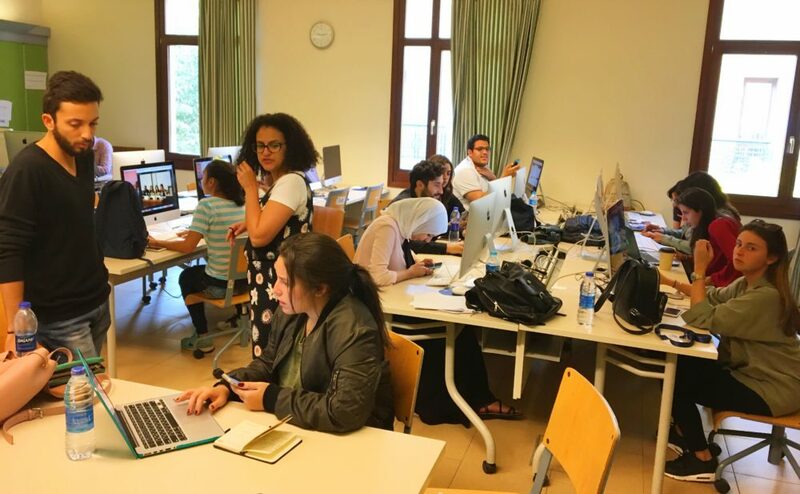 Eleven students at the American University in Cairo did more than just attend the 22nd annual conference of the Arab U.S. Association for Communication Educators (AUSACE) — they also used extensive planning and a variety of multimedia tools to cover it. 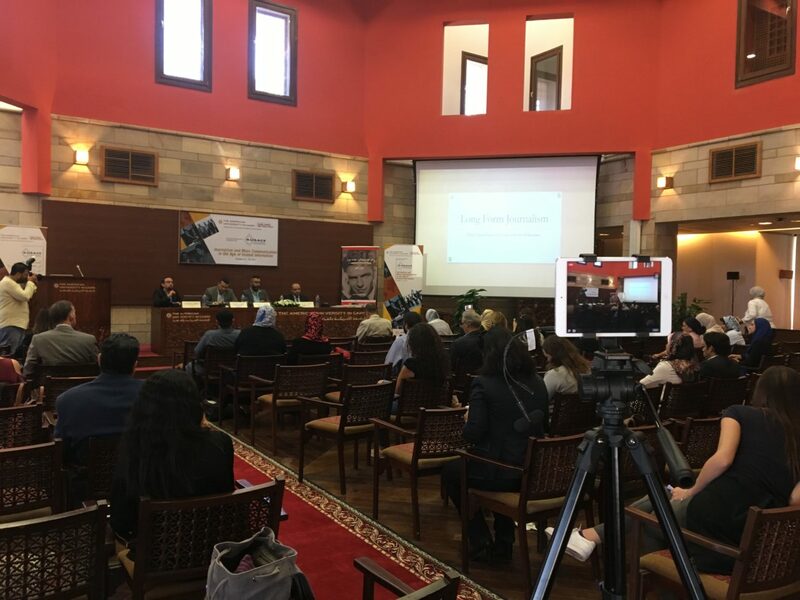 Under the theme “Journalism and Mass Communication in the Age of Instant Information,” the conference brought together academics, media practitioners, journalists and students who presented and discussed research on global digital journalism with a focus on the Arab region. "In the weeks leading up to the conference, we covered a mock lecture in the same location as the conference, with each student having to do a little of each role." The sessions addressed hate speech, audience use of social media, diverse case studies and mobile journalism with keynote speaker Robb Montgomery, a specialist in mobile journalism. And the students in the AUC capstone course became a dynamic news team responsible for daily social media coverage in English and Arabic, in addition to producing a website that showcased the four-day event, allowing those involved to learn the importance of both planning and organization when tackling extended, multimedia journalism coverage. We were able to prep for the conference more than a month prior to the actual event; therefore, we managed to have a clear plan of what was needed for complete media coverage both during the conference and in post-production. As a part of our pre-production plan, we created an Excel sheet divided by day. Within each day, we included the session name, time and a column for the role of each student journalist, who were encouraged to tap into their personal skill set for coverage. Students who would live tweet and gather audio. Students would gather video footage and photographs. Two iPads were provided to the students who live-tweeted from the Department of Journalism and Mass Communication (JRMC) Twitter account. Some students tweeted from their personal Twitter accounts as well. Audio recorders were also provided, but other than that, students brought their own equipment. In the weeks leading up to the conference, we covered a mock lecture in the same location as the conference, with each student having to do a little of each role. This helped them recognize their strengths and weaknesses covering an event, get familiar with the conference area and troubleshoot any other glitches prior to the conference. Using iMovie, we created a video template and sample storyboard for a consistent, branded look. The template included font size, type and placement, content within each frame and type of shot. Students submitted their work via a shared Google Drive where content was organized into folders separated by each day. The idea was to combine all content (articles, photos and videos) in one database, so everyone could have access in the student newsroom. The multimedia content would be used on Twitter, Facebook and the website. During the conference, the teaching assistants, in the role of assistant producers, ensured everything ran smoothly and assisted the students. We had a Facebook Live stream each day from the JRMC AUSACE Facebook event page during the plenary sessions, including Montgomery’s keynote. FB Live was administered via the professors’ mobile device on a professional tripod with a portable mic, which picked up the speakers in the room. 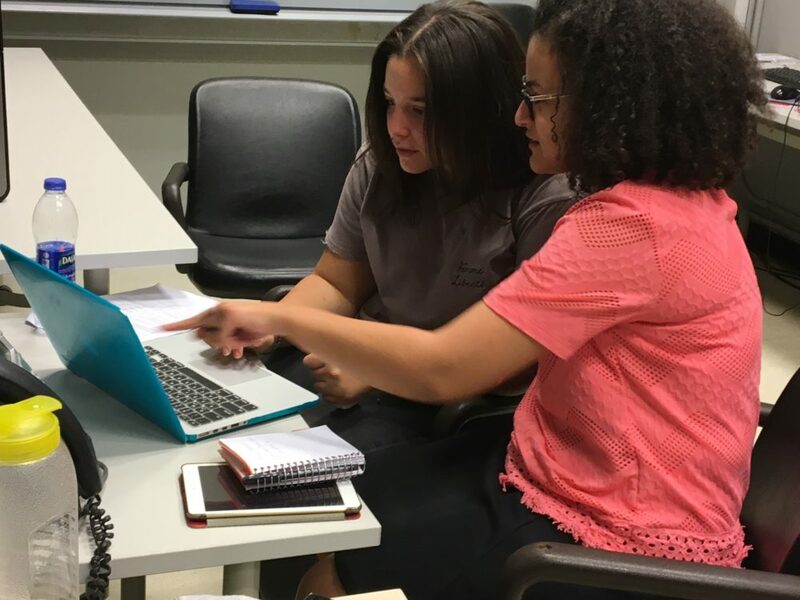 After each conference day was over at approximately 5 p.m., many of the student journalists headed to the class lab to work on the recap of that day to be posted to FB, along with some photos later in the evening. We used Shorthand Social to create the post-conference website because it proved to be a suitable online platform to complement the content. Additionally, it was free and had a simple layout for visuals and text. One caveat was that the free version did not allow embedding, like audio from SoundCloud. The articles on the website had in-text links to the social media accounts, databases, and online directories leading to background information about conference participants and organizers, including information from all conference days. We created final posts on Facebook and Twitter to inform participants and others interested in AUSACE coverage so that they were aware of the published website. The primary takeaways for us were preparation and organization. You need a sizable student staff to provide ample conference coverage. In our preparation, we should have extended an offer to students in other courses to assist in the coverage in order to avoid saddling the capstone students with the heavy load of the coverage along with attending their usual classes. The student newsroom’s daily social media recaps were repurposed and utilized on the final website. We knew in advance that we would use Shorthand Social to publish the the final website. Engagement was important for us to keep the coverage and content we created alive long after the conference was over. The #AUSACE17 webpage was linked directly to the @AUCJRMC Twitter account, and within Shorthand Social, we were able to set up tweets with segments of the content to keep the Twitter audience engaged over a period of several days. This was ideal to keep the conference participants updated with the content they missed during the conference. Overall, we were pleased with the outcome of the team effort and all of the content produced as a result of the AUSACE Student Newsroom. 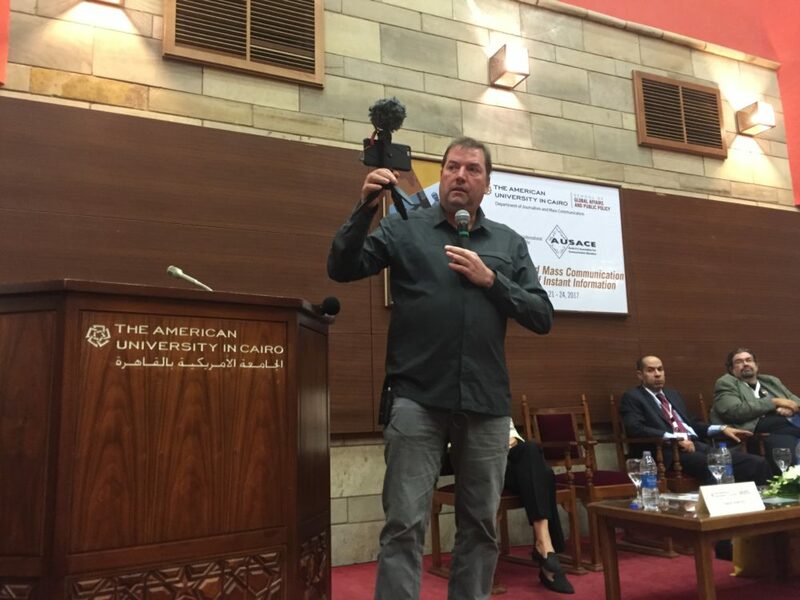 Kim Fox is an associate professor of practice at The American University in Cairo in the Department of Journalism and Mass Communication. You can find her on Twitter at @KimFoxWOSU. Refan AbdelNabi is an alumna from the Department of Journalism and Mass Communication at The American University in Cairo, where she is currently a teaching assistant. Alaa El-Dirini is a recent multimedia journalism graduate from the Department of Journalism and Mass Communication at The American University in Cairo. She is also currently a teaching assistant.